Intel has be trying to get into to mobile market for years without any success. They supported MeeGo in the hope that it will provide them with the software needed to get into the market. But, Nokia's pulling out of MeeGo has affected their plan and last week news emerged that Intel too might leave MeeGo. The question at that time was whether they will go to Windows Phone, like Nokia did, or go to Android. Our collaboration with Google will bring a powerful new capability to market that helps accelerate industry innovation, adoption and choice. I'm excited by the possibilities of this collaboration. It will enable our customers to bring exciting new products and user experiences to market that harness the combined potential of Intel architecture and the Android platform. Intel produces its own low power chips for mobile devices called Atom. However, the competitors, such as Nvidea and Samsung, who make chips based on ARM architecture has been ahead of Atom processors both in terms of performance and power efficiency. However, Intel is coming out with a new version of the Atom processor called "Medfield". 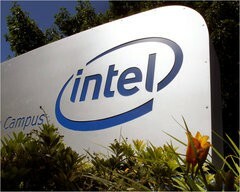 With the partnership with Google, Intel is hoping to jump into the mobile market with Medfield. However, the biggest problem with Intel's Medfield is the release date - first half of 2012. By the time Intel releases Medfield, its competitor, Nvidea, would have already released the quad-core Kal-El processor. Coming into the game this late, it will be an uphill battle for Intel all the way. Combining Android with Intel's low power smartphone roadmap opens up more opportunity for innovation and choice. This collaboration will drive the Android ecosystem forward.